There’s nothing quite like the freedom of running your own business! I had no idea blogging was dream job until I just happened to fall into what started out as a hobby, but quickly became my full-time job. What I found, was that although I really love fashion and beauty products, and of course sharing my fab finds with others, the real love of it (and what has made it my ultimate dream job) is the fact that I can do it when I want! I can work my own hours, take the day off, leave work early, and sleep in and start later if I didn’t get enough sleep the night before! Oh and not having to answer to a boss- EVER!? Well, that is just the icing on the cake! See my 5 Tips for Branding and Building a Successful Blog HERE. Like blogging, there are several businesses out there that can help you find your own freedom by working your own hours, and being your own boss too! 1. You’ve absolutely got to be motivated and a self-starter! Since you are in fact your own boss now, you’ve absolutely got to behave like one. Get up, get your day started, without anyone having to tell you to! If you want to find success in your venture, you’ve got to keep that motivation up daily! 2. You’ve got to Network: Building up your brand is all about networking. You not only find potential clients this way, but you can find and connect with other women and men in the same line of work, as well as helpful mentors in your business – which is oh- so very important if you want to find success! See how the people in your field are doing it successfully and follow their lead! 3. You’ve got to Put the Work in! Sometimes success comes easily to others, and there is always the hope that your brand will become successful enough that you can retire early, but if you’re just starting a business, you better expect to put in some major hours! Count on the daily 9-5 grind and as business starts to pick up, you may be working even longer days and weekends to keep up with the demand, at least until you have the funds to hire help. I heard once that a good measure of your success is by how annoyed your loved ones are with how much you work. This couldn’t be truer for me at the present. 4. Set Goals. I find this to be one of the most successful tools I use in blogging. I set daily, monthly, quarterly, and yearly goals, to help keep me on track! It not only helps me measure my success, and helps me realize areas I need to work harder in, but it also keeps me positive too by seeing the successes! Sometimes when you’re running your own business, it can seem like you’re at a standstill forever, which can totally be unmotivating and make you wonder why you’re working so hard in the first place! But if you set and track goals, even when it seems like no progress is being made, you see that in fact, it is! 5. And Speaking of Staying Postive, this is a Must in order to Become and Remain Successful in your Business. It’s too easy to get down and become stressed when your whole livelihood is solely dependent on how your business performs. It can eat you up if you’re not doing what you can to keep yourself in a positive state. I practice meditation daily to help keep myself balanced, as well as to keep stress from the day, low. I also remember to find time to do the things I love each day and to leave work behind while I’m doing them. I read a ton of self-help books, success, money, and business books, and I also take a lot of time out for myself during the day to help keep myself centered and happy. Try to look on the brighter side of things and don’t get swallowed up by the things that aren’t going well. Practice gratitude daily and think of all the things you love about your job and business every single day! It will help keep you positive and motivated even during the darkest (and slowest!) times. 6. Make Sure It’s Something You’re Truly Passionate About. You’re going to be diving into this world every weekday for 52 weeks a year, for many years to come, so make sure it’s something you truly love and are passionate about, so you won’t get bored or become unmotivated! Ready to Take the Plunge and Start your Own False Eyelash Brand Today? Not all lashes are created equal, so look for a brand that offers wholesale quality lashes that look and feel great and compete in today’s market! Test them yourself and share with your friends and be sure to get feedback from them by asking ” How are the lashes?” “Would you recommend them to a friend or family member to purchase?” Be sure you’re buying a product that is solid and something you will easily be able to sell because when it comes down to it, it really doesn’t matter what you think of the product (although it certainly helps to be whole-heartedly behind something you’re selling) but what your customer thinks! Not only should you be focused on the quality of the brand and product, and how well your customers like it, but as a direct buyer, you should also be paying attention to how well-known the brand is. Also pay attention to how fast and reliable their shipping is, as well as how great their customer service is since you will oftentimes find yourself working first hand with them! Be sure to keep up with the trends! Educate yourself and stay on top of what’s new, what’s selling, and what isn’t, so you’re not wasting your time on lashes that won’t sell! 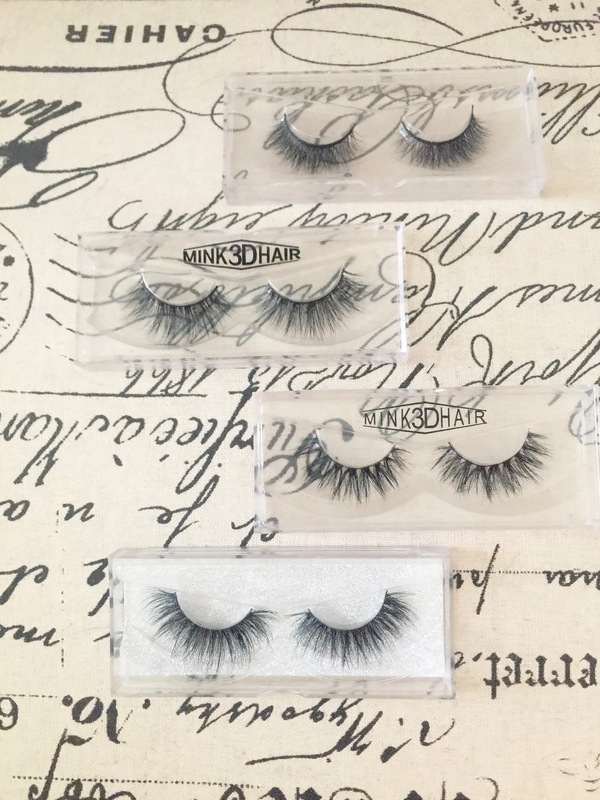 Stay aware of what the current must-have product everyone is wanting right now, like the super popular 3D Mink Lashes that are taking off in a big way right now!